Zipped jacket with knitted collar, cuffs and waistband and press-stud fasteners available in Men's and Ladies sizes. 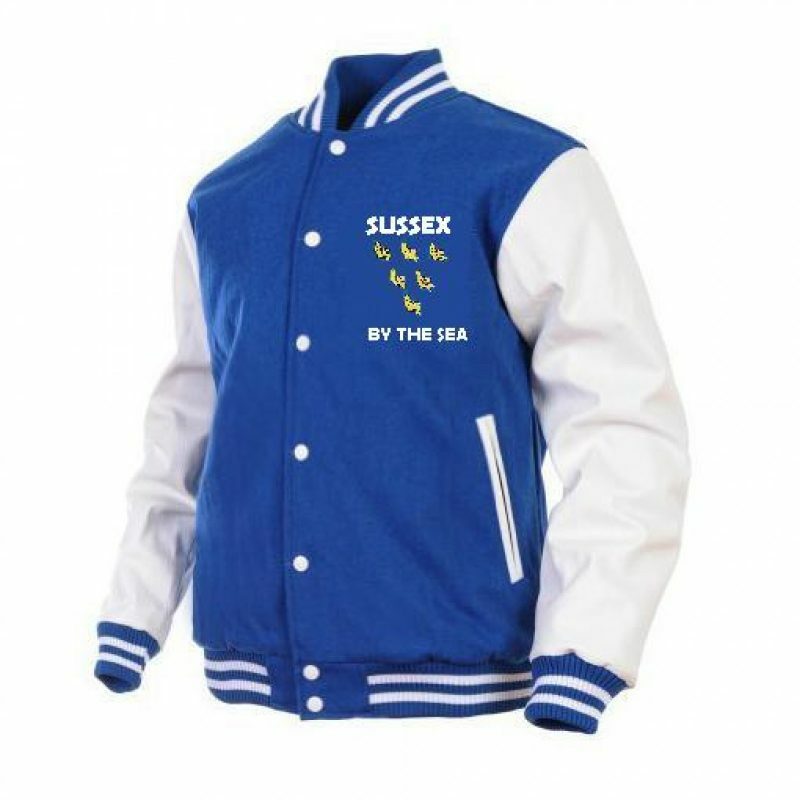 Please note: this item can be ordered with the alternate logo's 'Sussex Wunt Be Druv' or 'Sussex Stand Or Fall' or just the Martlets on their own. Please allow a minimum of 14 days for production. Every effort will be made to reduce this time. Items are subject to stock availability at the suppliers, we will notify you if any stock issues arise. Prices include all logos where applicable. 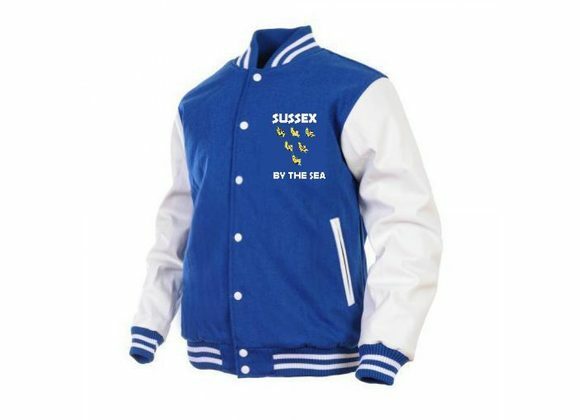 If you are not sure about a size, please contact us as once an item has been printed, it cannot be exchanged.